Friday, September 21st: have a laugh. 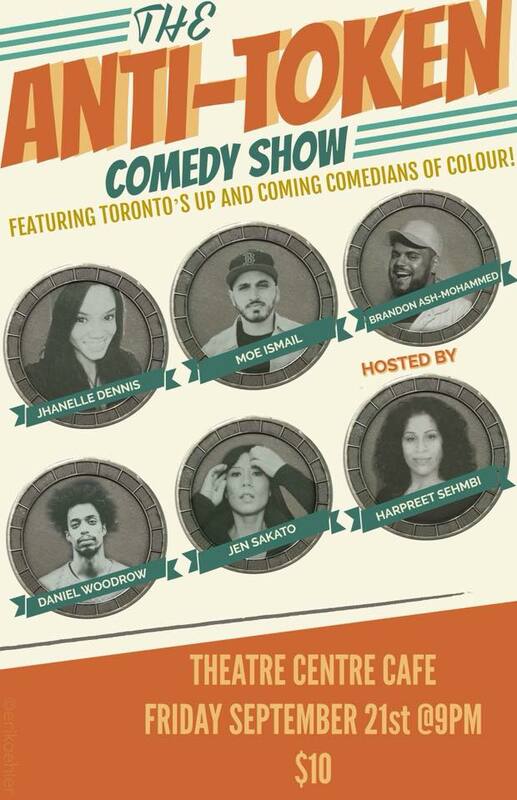 The Anti-Token Comedy Show featuring Toronto’s Up and Coming Comedians of Colour at The Theatre Centre Cafe. 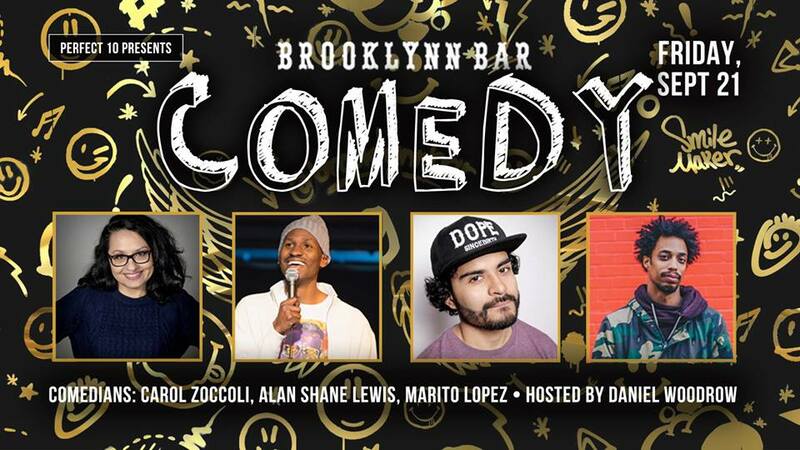 9pm, $10. 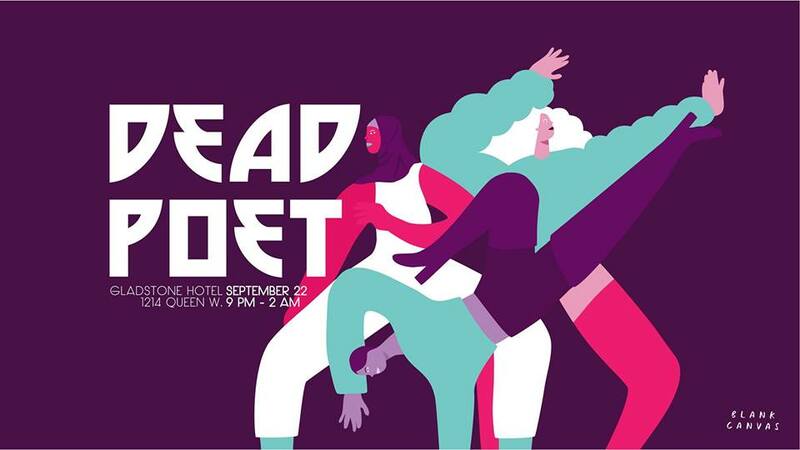 Saturday, September 22nd: book launch and an open mic. Join the monthly open mic and spoken word hosted by Blank Canvas at Gladstone Hotel. This theme is open concept, welcoming musicians, poets, DJs, artists, curators, stylists, dancers, and all. Click on the image for more information regarding sign-up. Starts at 9pm. 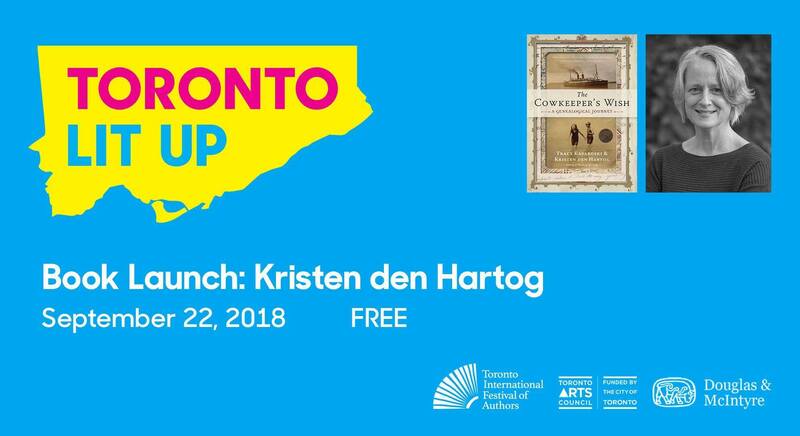 Book Launch of Kristen den Hartog’s “The Cowkeepers’ Wish” at Type Books, 7:30pm. Sunday, September 23rd: get musical. 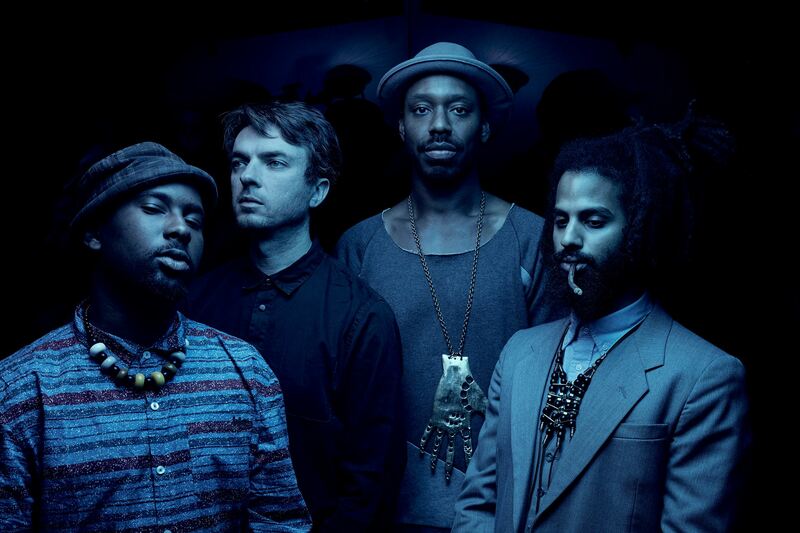 Sons of Kemet with Just John in Longboat Hall at the Great Hall. 7pm. 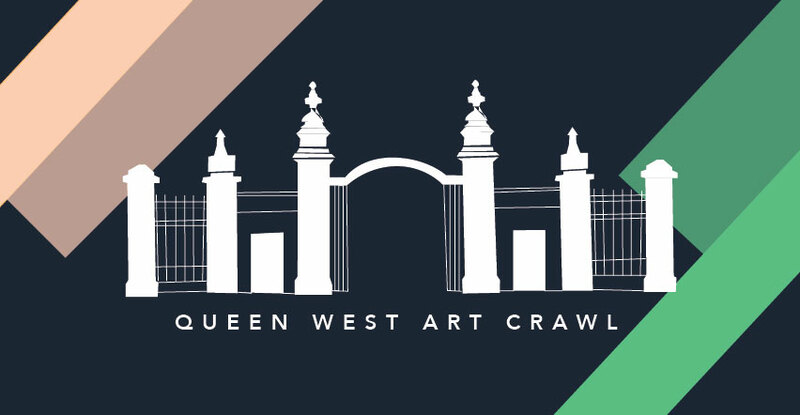 Happening all Weekend: the Queen West Art Crawl. This Saturday and Sunday in Trinity Bellwoods Park, experience an outdoor art exhibition with showcases, live music, and food from some of Toronto’s best food vendors. 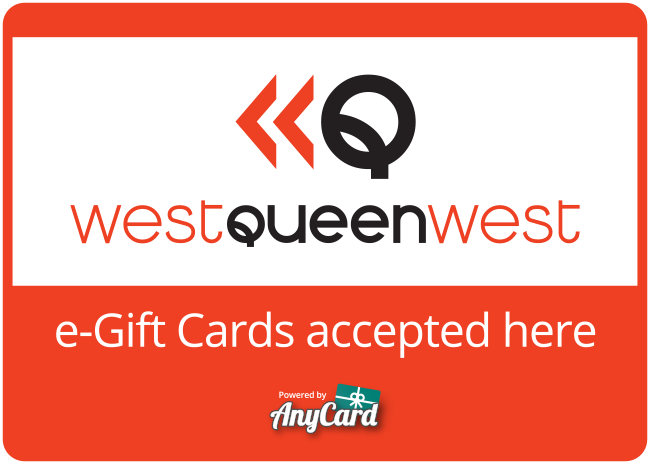 There is something for everyone at the Queen West Art Crawl. Come and join us each day 11am-6pm. Recently opened at 675 Queen Street West, munch on late night waffles at this spot. 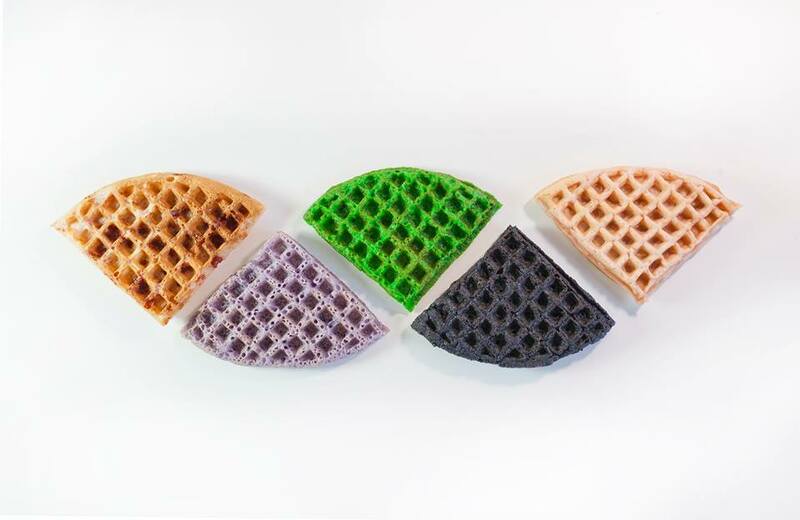 Featuring flavours like ube and pandan, Grandmama’s is offering a new palette to hungry night-owls. Harlem Underground, Convenience, Agora, Milagro Cantinas, Oyster Boy, Hooky’s Fish & Chips, The County General, Lisa Marie, El Almacen, The Swan, Banu, Terroni, Rickshaw Bar, Noce, Entice Culinary Lounge, Butter Chicken Roti, Lamesa, The Drake Hotel, Gladstone Hotel, Fresh, Otto’s Bierhalle, Carmen, Bolt Fresh Bar, Frankie’s, The Good Son, Fonda Lola, Nuit Social, Nana, Nunu Ethiopian Restaurant, H Bar, Squirly’s, Smoque N’ Bones, Loaded Pierogi, Juan Gonzalez Taqueria, Montgomery’s, Canis, Death & Taxes, Noce, Dandylion, The Dog & Bear, Barn Restaurant, Church Aperitivo Bar, North Of Brooklyn, King Slice, Toma Burger Addiction, Kenzo, La Hacienda, Poutini’s, Ravi Soups, Hello 123.